Shiny Frogadier in game: 48 Who? Important notice! Pokemon Shiny Frogadier is a fictional character of humans. 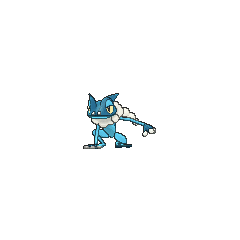 Frogadier (Japanese: ????? 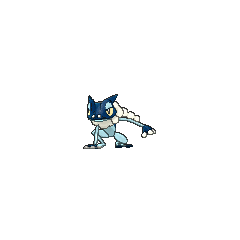 Gekogashira) is a Water-type Pokémon introduced in Generation VI. Ash's Froakie evolved into Frogadier in A Stealthy Challenge! during a battle alongside Pikachu and Sanpei's Greninja against Saizo's Barbaracle. 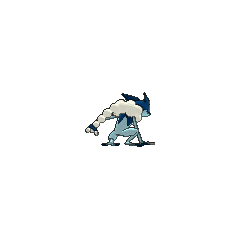 It later evolved once more into a Greninja in the episode A Festival of Decisions!. Frogadier made its debut in A Rush of Ninja Wisdom!, under the ownership of Sanpei. It appeared again in A Stealthy Challenge! as a Greninja. 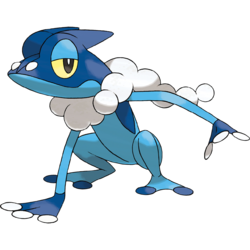 XY052 Frogadier Ash's Pokédex Frogadier, the Bubble Frog Pokémon, and the evolved form of Froakie. Frogadier's speed is unmatched. It can climb a tower over 2,000 feet tall in one minute. 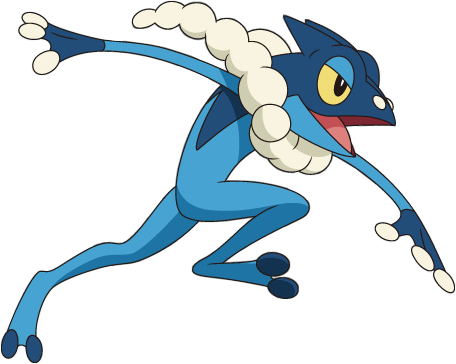 Y owns a Frogadier nicknamed Croaky that evolved from her Froakie. Gekogashira may be a combination of ??? geko (croak) and ?? wakagashira (a young Yakuza subordinate leader) or ?? kogashira (head of an organizational section).